Eastern lowland gorillas in the Democratic Republic of the Congo have endured dramatic population declines in recent decades, leading to a startling lack of genetic diversity and a slew of harmful mutations, according to new research. By comparing the genomes of living eastern lowland gorillas, also known as Grauer’s gorillas, with genomes derived from museum samples, researchers from the Swedish Museum of Natural History (SMNH) and Uppsala University have shown that genetic diversity is declining in the species, while inbreeding is increasing. This double-whammy is due to declining populations, and it’s causing an effect known as “temporal genomic erosion,” whereby the lack of genetic diversity is introducing deleterious mutations in Grauer’s gorillas, including fertility problems and a reduced capacity to ward of infectious diseases. The new research was published last week in Current Biology. Needless to say, this is making an already bad situation for the Grauer’s gorilla even worse. But while the genetic diversity of these gorillas is plummeting, it has yet to reach the point of no return—a state known as “genetic meltdown,” after which time there isn’t enough diversity left in the gene pool for reproductive viability. There’s still time to bring these apes back from the brink, we just need to act. Over the past two decades, the population of Grauer’s gorillas in the Democratic Republic of the Congo has decreased by 80 per cent. As a result of poaching and loss of habitat, there are less than 4,000 individuals alive today, and the species is listed as critically endangered. 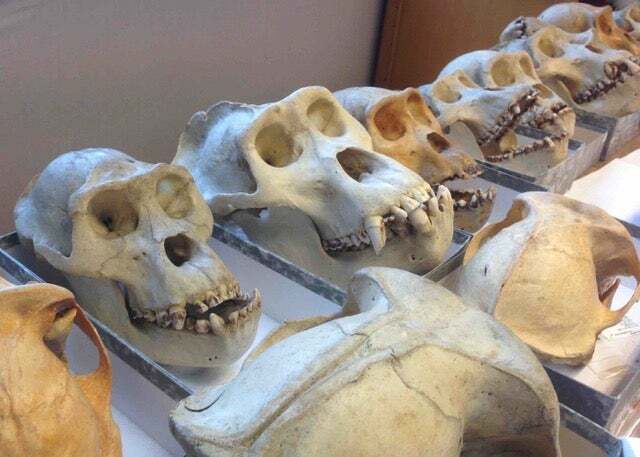 To see if this population decline was mirrored by a loss of genetic diversity, the SMNH and Uppsala scientists behind the new study analysed eastern gorilla genomes over the past century by studying samples kept at museums. It’s the first study to use historical genomes from an endangered species to investigate changes in genomic variation through time. “We think there is great potential for this approach to be implemented on a much wider scale on endangered species in general,” said Love Dalén, a researcher at SMNH and a co-author of the new study. Dalén and his colleagues sequenced 11 genomes from eastern gorillas dating back 100 years. The DNA of the archived specimens, which were extracted from teeth and dry-tissue samples, were badly degraded, but by applying the same methods that are normally used to restore even older samples, such as mammoths and Neanderthals, the scientists were able to recover good and reliable genetic data. Results confirmed a loss of genetic diversity among living Grauer’s gorillas, of which DNA samples were taking from seven individuals. What’s more, an alarming batch of genetic mutations have crept in over the past four to five generations—mutations that are making these gorillas more susceptible to communicable and genetic diseases, and less capable of adapting to environmental changes. Many of these mutations are classified as “Loss of Function” (LoF), which, as the name suggests, happens when a gene loses its evolved function. Over the last 100 years, Grauer’s gorillas have acquired several LoF mutations which, in humans and other related species, are related to changes in immune responses and male fertility. The researchers also detected LoF in genes associated with finger and toe development, which may explain why many living Grauer’s gorillas have fused digits. Interestingly, the researchers also conducted a similar study of mountain gorillas, applying the same techniques. 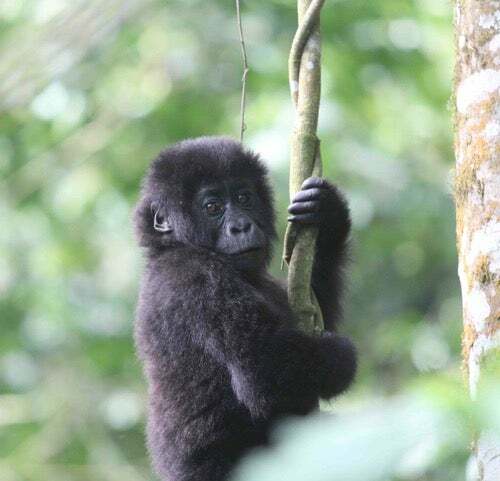 No significant genetic changes were detected; these gorillas, a closely-related subspecies, appear to be sustaining their genetic diversity and reproductive viability despite recent population losses due to similar factors. The reason for the observed increase in harmful mutations in Grauer’s gorillas compared to mountain gorillas, said Dalén, may have something to do with differences in their long-term history. Grauer’s gorillas went through a major population increase several thousand years ago, while the population of mountain gorillas remained low for several thousands of years. Somewhat counter-intuitively, the small population size of mountain gorillas could have allowed natural selection to weed out acquired deleterious mutations in a process known as genetic purging. By contrast, the population increase in Grauer’s gorillas introduced a large number of mutations—including harmful ones. “Once the Grauer’s gorilla started declining in recent decades, we think these low-frequency harmful mutations may have started increasing in frequency due to stochastic allele changes—so-called genetic drift,” said Dalén. As the new study suggests, it’s critical that we stop, and ideally reverse, the demographic decline in Grauer’s gorilla.